Off-page optimization means the things that are done on sites besides your site, namely link-building. Off-page optimization is the process of creating links (or causing others to create links) on other websites that point to your site. Inbound links as these are often called have a major impact on how well you rank in search engines. Generally speaking, the more inbound links, the better. But the quality of the sites with these inbound links, or the way the search engines perceive the sites, is even more important. The idea that inbound links help your search engine rankings that I explained above can be extended to your internal pages as well. In other words, the more links to a particular page coming from other pages within the same site will boost that page’s rank as well. Remember how I explained that links from within your site help your rankings? Adding links within your blog posts pointing back to your other important pages that you want to rank well is a great way to help your rankings. 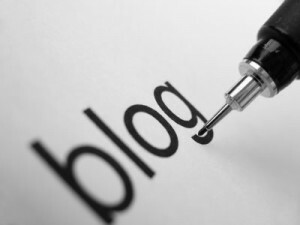 By adding a blog to your business website you are creating a way to get additional traffic. You’ll get direct traffic from your posts, which get indexed by the search engines and drive traffic to your site from searches. And, you’ll get indirect traffic from your other site’s pages ranking well in the search engines because they have links pointing to them from your blog posts. You’ll be regularly adding fresh content to your site, which search engines love, thereby creating more ways to be found in the search engines at the same time. And each post provides a new chance to create a link or two to other pages and blog posts on your site, thereby boosting those pages’ rankings.